By the look of it, a great deal of time and effort has gone into designing NI's Kinetic Metal interface to ensure that it functions as a very flexible sample-manipulation tool. Under the bonnet, there are 1751 samples made by sound designer Jeremiah Savage, who has marshalled them into 211 multi-layered instruments. The instruments themselves are all named after some key element of their sound. Antique Typewriter, for example, definitely has a kind of typewriter noise in it, but it also includes a breathy, ocarina-like tone. Nevertheless, a quick turn of the control dials completely changes the composite sound by altering the relative levels of its layers. On the left of the interface is what's called the Forge Morph Knob, which is modelled to look like some kind of gear wheel. 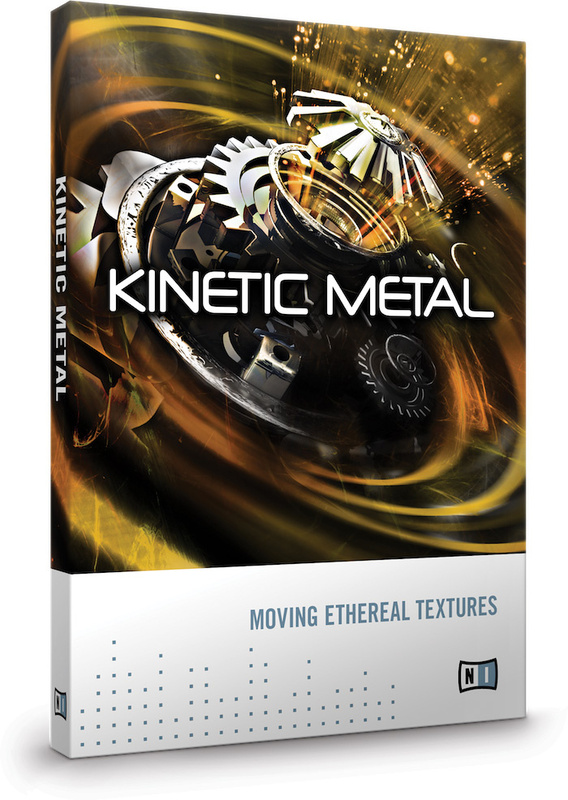 Turning the gear causes it to morph between four presets, changing the volume of eight sample layers (there are four 'Metals' and four 'Waves'). The presets are set out around the gear and labelled A, B, C and D, so the user can either turn the gear wheel to an intermediate position of his or her choosing, or make it leap to one of the four by clicking on its letter. Over on the other side of the display is the FX Morph Knob, which looks a little different but functions in exactly the same way. Connecting the two is a Link button, which makes the gear wheels mirror one another when one of them is moved. Perhaps the most intriguing control of all, though, is the Motion switch, which animates the wheels according to the settings in a control panel. When Motion is on, holding a note down sets the wheels in motion and they play away happily until the note is released. Control is available over their movement envelope, speed and range, and they can be reversed, synchronised with a host tempo or set to loop indefinitely. Users are also given control over the Forge and effects gear layers. Clicking on the Forge button, for example, brings up faders for all eight of its layers, any of which can be soloed or dragged to wherever it is wanted. As for the effects knobs, they control the parameters of effects labelled Color, Distortion, Movement and Space. 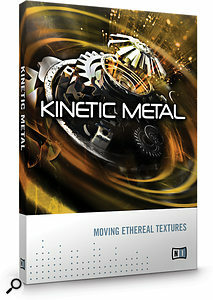 As a tool for creating ethereal textures, Kinetic Metal is excellent. There are plenty of instruments to start with, all of which are made from nicely recorded core samples. As one might expect, all the basic samples are metallic-sounding, but within that, they vary from smooth and resonant to harsh and scratchy. From there, the interface makes it fast, easy and, above all, good fun to change the character of the sound mix and the way it evolves over time.